The Easter Sunday is among the most important and most celebrated holidays by many Christians, especially the Catholic Church, because it signifies the day when Jesus was resurrected from the dead. From family outing to children’s activities, there are a lot of ways on how people celebrated this significant day. For business entities, this day can be a pleasant time to organize an event, launch their new products, or promote their existing products. 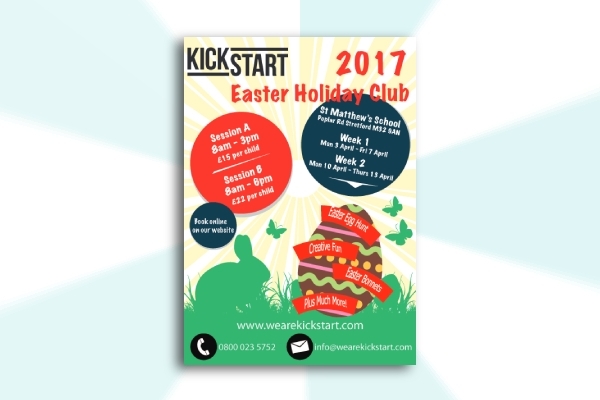 To have a great impact on the customers, it’s best to use advertising materials, such as an Easter brochure. This brochure is so versatile that it can be used by any type of business or industry. 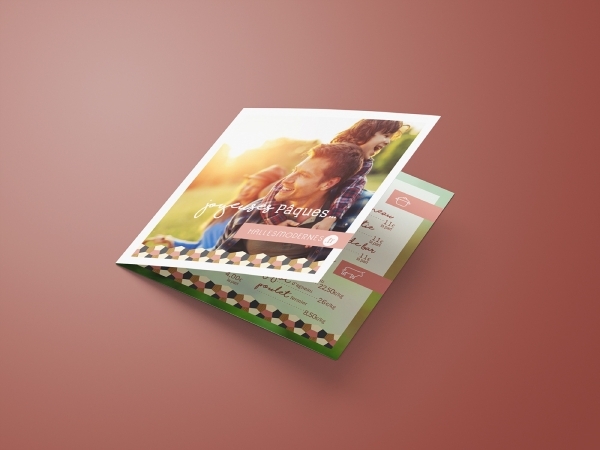 Check out the templates and examples below that will guide you in your brochure creation. No matter what you are selling, may it be products or services, it is vital to summarize all your product promotions in a brochure, especially during Easter Sunday when people mostly spend their day participating and attending events and activities, so your customers can easily access the list of your products or services offered. 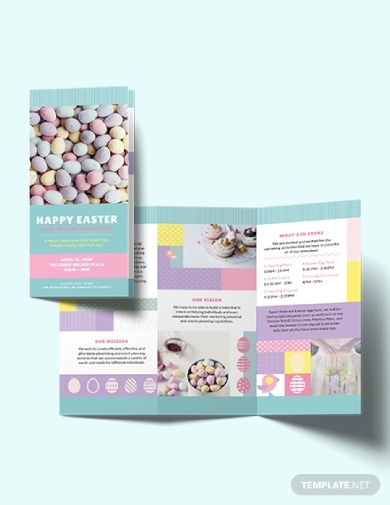 With that said, you can use this trifold Easter brochure template for effective promotion and branding. 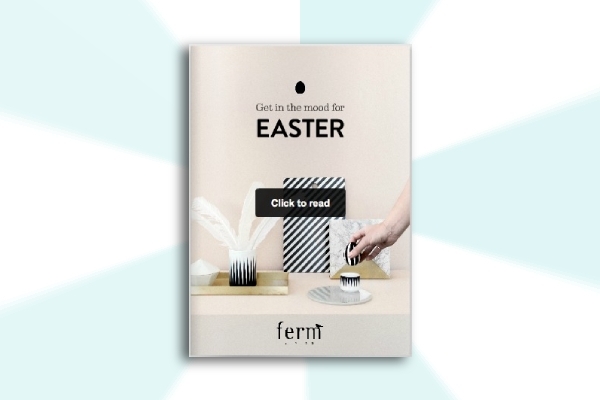 Design an Easter brochure that is as adorable as the one presented above, and incorporate whatever advertisement, information, or idea that you have in order for people to know more about you and your brand. Remember that building your brand is important as this will also help you establish your credibility as a business entity. Among the most commonly used symbol for Easter is the Easter egg. It symbolizes fertility and rebirth and, for some, the empty tomb. The Easter egg hunt activity is also popular where children search for the hidden Easter eggs. 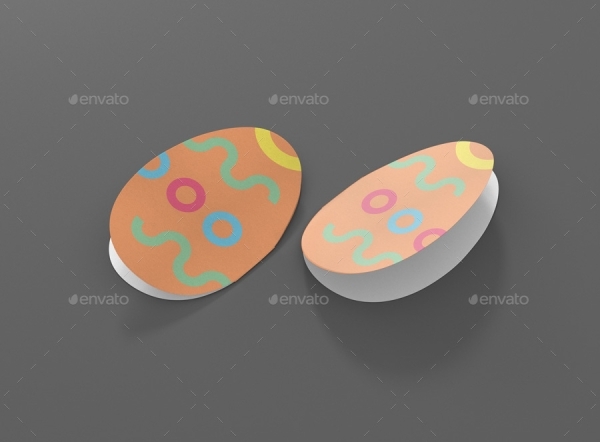 Knowing all these, why not shape your brochure like an egg similar to the example above? It will surely capture the interests of your target market. 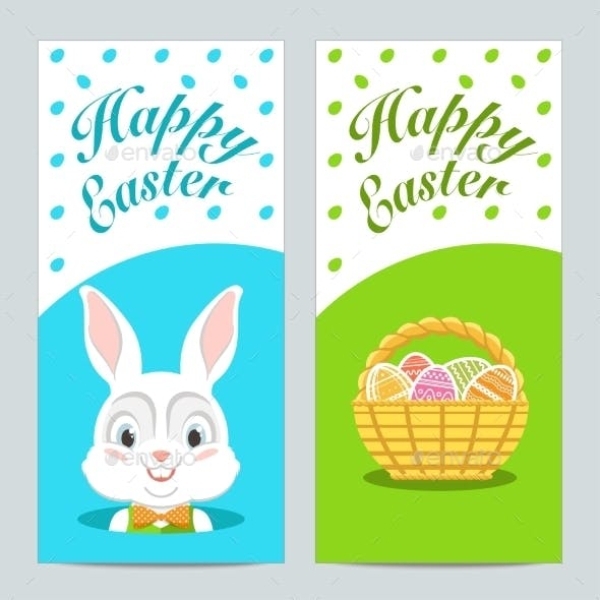 Whether you are creating an Easter brochure for promotion or just for a keepsake, you have to design it in a way that you are expressing yourself and the brochure truly reflects your personality in order to convey to your intended audience the message that you want to relay. Be creative in your brochure creation and choose designs and colors that would perfectly complement well with each other. As can be seen from the example, the different shades of the primary colors—yellow, blue, and red—are being used to achieve an attractive and elegant brochure, great for advertising products and services of any entity. 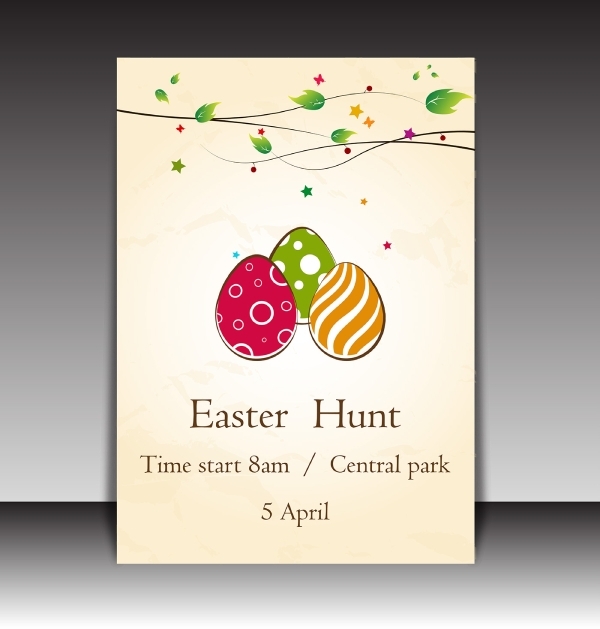 Advertise your Easter egg hunt activity through the use of a brochure, similar to this Easter Egg hunt brochure. 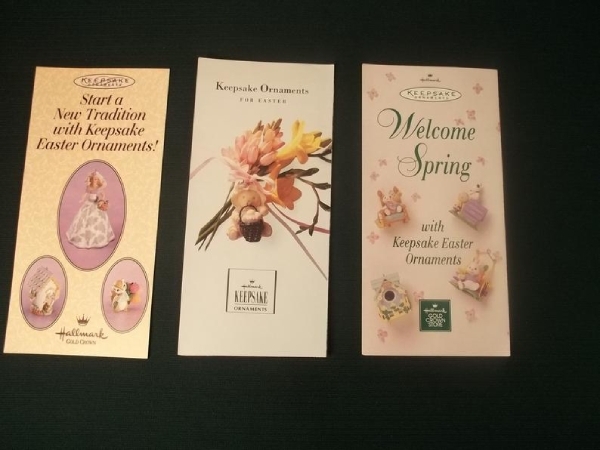 Just like this example, you can incorporate Easter symbol designs on the front of the brochure. You are not limited to Easter eggs only; you may also explore the other Easter symbols, such as Easter lilies, lamb, Easter bunny, palm branch, ashes, butterfly, the cross, and hot cross bun. 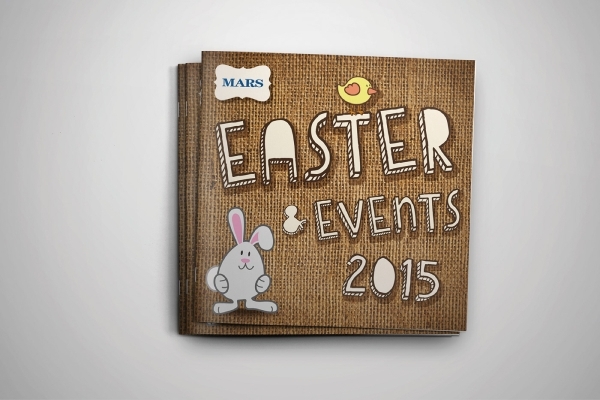 Got some interesting products or events for the Easter Sunday? 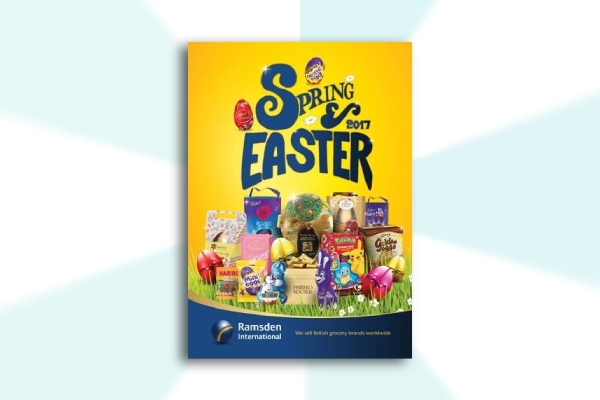 Promote them with the use of a brochure, just like this Easter product brochure. Do not forget to include the important elements of a brochure, such as eye-catching cover, professional photos, value proposition and benefits, limited-time offers, and call-to-action statement. Because Easter Sunday is a day of parties and celebrations where food is always present, grab this opportunity to launch your food products using an Easter food brochure. To make the best appeal to the customers, you can serve the traditional Easter food such as deviled eggs, honey-glazed carrots, creamy spring peas, and macaroni and cheese. 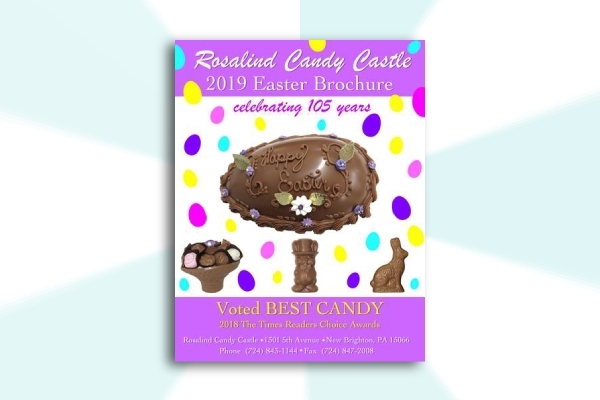 Easter always falls on the first Sunday after the first full moon following the spring equinox, so you can amalgamate your spring brochure with your Easter brochure, such as this spring and Easter brochure example. While you are working on your design, also make sure that you have interesting content that would compel the readers to read your material. Apart from egg hunting, egg rolling, and other children’s activities during Easter, kids also look forward to receiving candy and chocolate treats and other sweets. With this, present a brochure containing a lot of sweet choices to the parents so they can choose what to buy for their kids. A lot of people would love to travel during the Lenten season not just for personal vacation travel but also for religious travels, visiting churches and other religious places. 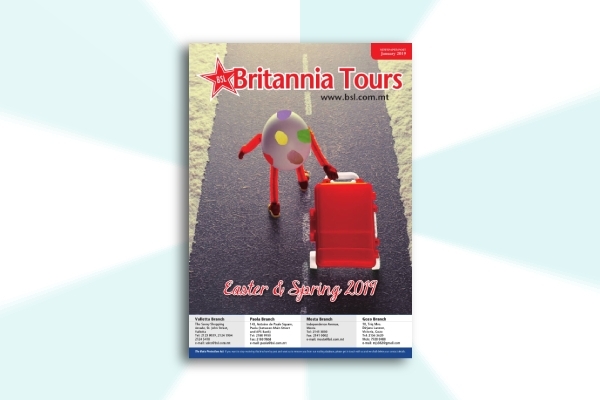 Hence, if you are running a tour company, provide your potential customers with a tour company Easter travel brochure and present them great offers and deals. Do not forget to include the price and the itinerary of the travel as well as your contact information. 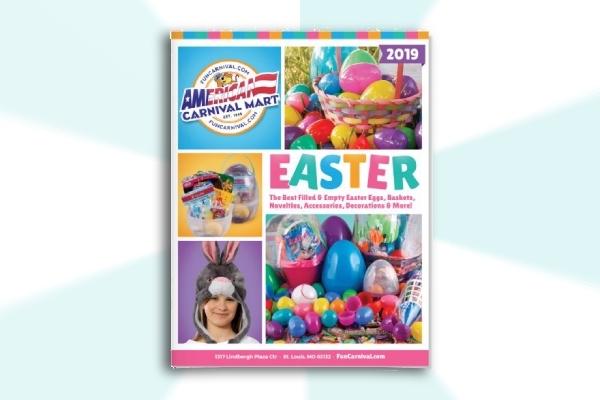 Keep your customers excited with your carnival through the use of visually pleasing carnival Easter brochure. Include the necessary details that your customers need, such as the location, opening time and date, age restrictions, carnival ticket prices, rides, among others. Encourage your target customers to join your club by creating a brochure that is specifically tailored for your club. You can offer special discounts for the membership card, and you can also offer Easter discount vouchers, gift certificates, and gift cards. Easter can be the best time of the year to organize fundraising events as many people would be spending their time outside their respective homes, making them easy to access and invite to the fundraising event by presenting them your Easter fundraising brochure containing the details of the fundraising, such as the name, time, place, and date of the event. You can also hand out fundraising flyers and leaflets as additional promotional materials. 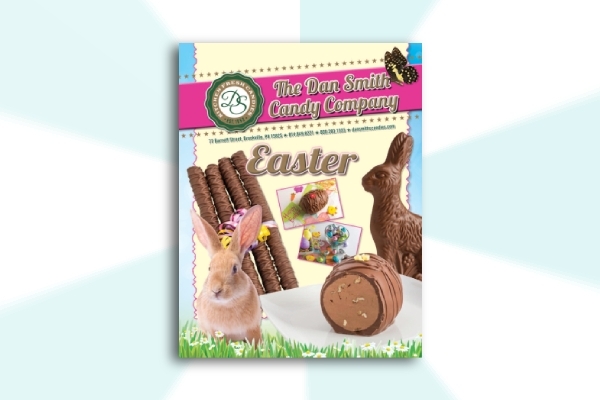 Showcase your Easter recipe with the use of an Easter recipe brochure, similar to the one presented above. 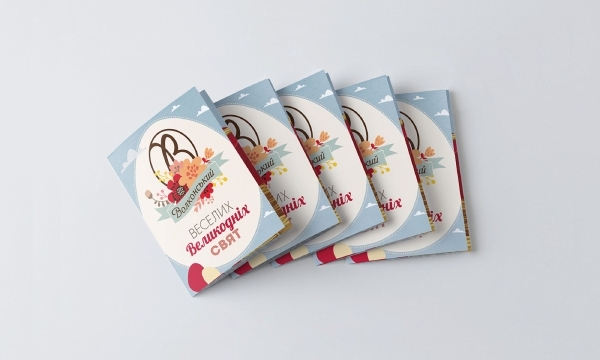 Apart from your appealing cover design, do not forget to work on the content of the brochure, especially because the recipes you are presenting is vital when your readers would cook their favorite Easter food.